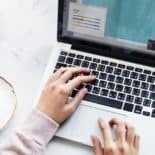 Updated: April 11, 2019 | 59 Comments | This post may contain affiliate links. Click here for our full disclosure. This was a few years before we began our journey into real food and natural health awareness, and to be quite frank – we were ignorant. She had a can of diet coke on her receptionist’s desk, and it had a paper skull & crossbones taped on, with the word “poison” emblazoned above. We looked at one another and rolled our eyes. I still remember the visit fairly vividly. She guessed/knew that Chris had eaten beef for dinner after poking around his mid-section with her hands. That was weird. They talked about him being on a daily prescription medication for acid reflux. It was bad and getting worse – the doctor had already upped his dosage. He didn’t know what to do. She told him to go home and drink a spoonful of vinegar. We did all we could to contain the eye rolling and stifled our laughter. Clearly this lady was out to lunch. He has terrible acid reflux, and you want him to drink acid? Ummm, no thanks. She claimed that the acid reflux was actually being caused from the stomach originally not producing enough acid, and therefore going into over-drive and producing way too much, which causes it to come up the esophagus and creates that horrible burning pain of acid reflux. It was a horrid cycle, which repeated itself daily – hence the prescription meds. We left the office still thinking she was nuts… but what did we have to lose, really? The acid reflux gets worse for a few hours? We figured it was worth a shot… so we went home and tried it. The next time the reflux hit at mealtime, he poured apple cider vinegar into a spoon and swallowed it straight. Ten minutes later… the reflux was gone. This method continued to work. At first he would have to take a spoonful or two daily. Then it lessened. Eventually he was able to go off the prescription meds altogether. Now, years later (probably about 7-8 years?) he doesn’t experience acid reflux at all any more. I think he has taken a dose of vinegar maybe once in the last year. Somewhere along the way we became firm believers in embracing a natural and holistic approach to health, and we have never been healthier or happier. Have you ever experienced acid reflux? 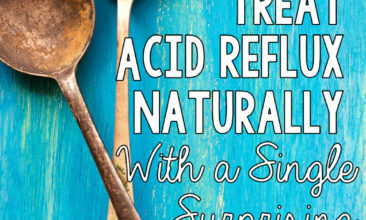 Have you ever used a natural remedy to treat acid reflux? Glad the ACV helped! 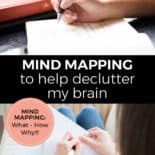 Thanks for sharing that about the breathing exercises – so interesting! My husband suffered through esophagial cancer and lost the battle. From experience I learned that you can not depend on medicines to fix gerd or acid reflux, as that just covers up the problem. I found a very quick and easy solution to dealing with it. Chew cinnamon gum and always sleep on your left side. Try mint leaves, the really helped me in reducing my acidity. I’VE HAD GERD FOR SOMETIME. I GAVE UP WITH MEDICINE AND HAVE TRIED ACV, HONEY IN WATER. IT DOESN’T ALWAYS WORK. WHAT ABOUT COLLODIAL SILVER.? I’M REALLY TO GIVE THAT A TRY. HOW AABOUT ALOE VERA? Oh yes I had a bout of the burning sensation in my stomach. At first I ran to the pharmacy and bought tums which was a complete waste of time and money. Then someone told me to drink a tablespoon of honey and that settled it. Now I have too options. Thanks a million because good honey is hard to find. Thank you once more! Any ideas for a toddler who has severe acid reflux. He is on Zantac 3 times a day. I never knew how bad acid reflux could be until my son. OMG, remove him/her from Zantac. That will cause you all kinds of problems, please read up on that. I used to get bad heartburn when I eat things like crackers, bread, sweets, etc. When I stopped eating those things it went away. When I occasionally eat them, I go for the Tablespoon of ACV and a cup of water. Also, your toddler is probably acidic so they need things in their diet to make them more alkaline than acidic and you won’t have any heartburn. Try a more plant-based diet and go for nut flour and such instead of crapy wheat flour. It really helps. I have gerd, reflux, you name it. I had bad reactions to rx meds and would drink baking soda water for relief. I started eating ginger/honey candy a couple times a day. I take a tablespoon of bee pollen every day. I make sure Im drinking enough water. And at bedtime I drink apple cider vinigar in a glass of water. Reflux is gone! I had a case of acid reflux last year. It was horrible. I took 2-3 OTC meds and they made me feel even worse! I tried chamomile tea (the flower) and ginger root tea. Both worked fine for me. I also took Tums on occasion, but those seemed to prolong my issues. Eventually I tried ACV, and it took ALL my symptoms away. I now drink it just about everyday just to keep the reflux at bay and also for the ACV other amazing health benefits. I heard this on a PBS show, a Dr explained that most people in their late 20s start to produce less stomach acid causing reflux to manifest at this age. 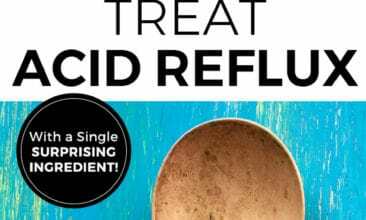 Contrary to what we have been told, Reflux is lack of stomach acid. Soda drinks, Tums and other alkaline or carbonated products will neutralize more the stomach acid worsening the problem. Weak stomach acid will cause the stomach to take longer to break down the food. Prilosec and similar products do not heal you. Enzymes such as Papaya are great to help with food breakdown an alternative or complement to ACV. Ok, I understand what is being said here. In fact, I have a jar of Bragg’s ACV (with the mother). I was using this method once, twice, and even 3xs/day with it diluted in warm water with honey. Hence, my reflux worsened. I have been having GERD for some time now and the last endoscopy (about a month ago) revealed negative on H Pylori (prior infection in digestive tract) and negative on stomach ulcers. Scarring tissue is noted down esophagus and attempted healing is seen. Now, after failed medications and I have been placed (yesterday) on the last resort medicine for acid reflux and another endoscopy coming on the 25th, I hear to mention about my gall bladder (as it could be the cause). Also, I know that with a hiatal hernia (hernias not uncommon starting from adolescent age of walls weakening) that could be the cause or the flap that keeps stomach contents inside possibly eroded from stomach acid and may require surgically closing it some. There was an evening recently I was taken to the ER to ensure I wasn’t having a heart attack. There was this crushing pain (severe) just centered below chest but right where the end of the sternum would be (and more symptoms shown then), but now, I still feel that same area feeling as if it is ‘cool’ and yet at the same time, like the pain returns, but not as severe and feels as if some sort of pressure is being placed on this area inside. Just had inguinal hernia surgery done a week and half ago. Suppose what could be helped if nothing else attempted has helped? Have head raised on 3 pillows nightly, CPAP, and made dietary and lifestyle changes to help deter this issue. I know it will eventually lead to esophageal cancer if not addressed efficiently as one of my uncles had this happen from his GERD and that is what took his life. Have you checked for hernia above the the flap where the stomach keeps the acid and food down my boyfriend didn’t find out until years later that it was the cause for the exact same problem you’re talking about. They had to do a horrid procedure though by sticking a came down your throat.It won’t show as obvious unless it’s really bad. So every time he ate and he’d be in a bad way. After the surgery he couldn’t eat properly for 2 months so he lost 7kg in the first week even though the docs said he’d be fine after 2 weeks, regardless best suffering he had to get to where he is now, sleeping well, eating and enjoying life. 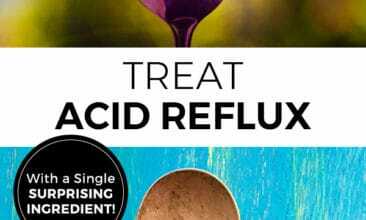 I had extreme acid reflux difficulty with only minimal relief from the purple pill for years. I started taking 1 tsp of baking soda in the morning and evening and noticed the gurd disappeared almost immediately. Only problem was, prior to going to sleep, I would take a heaping tsp of baking soda with a shot or so of warm to room temperature water and sometimes the acid reflux would return while still sleeping and I would wake up with the reflux in my mouth and a quick trip to the bathroom to expel and then difficulty to return to sleep. After about 2 years of partial relief, I made a decision to have the fundoplication procedure done, along with a repair of a hiatal hernia. Knock on wood all has been well since the operations with only minimal excess gas issues. Once the fundoplication has been performed, you have extreme difficulty burping excess gas, so it has to find another avenue for release, out the other end. Worth the tradeoff!!! Already commented, but the other advantage of taking baking soda has been to reduce the acid level in my body, due to the foods and stuff we consume. Your blood remains constant in PH, about 7.4 but it is quite easy to get the rest of your body out of whack. I continue to take 1 heaping tsp of baking soda with a shot glass of warm or room temperature drinking water each day. Never try to ingest it in powdery form as you may swallow it down into your lungs and cause some other problems. Look it up on Pinterest and read the article how in 1931, a Dr Otto H Warburg won the Nobel Prize for his research and claims that Cancer cannot survive in a highly oxygenated and Alkaline environment in the human body. Take the baking soda for a daily routine and according to Warburg, your Cancer will disappear and not return. The baking soda is what lowers the PH because it is pure Alkaline. Do not take if you have high blood pressure and consult a physician to be sure you can tolerate it with your health needs. hi there, i dont know how to post on this, but would like to talk to you in regards to reflux. I do something similar, but it’s to me a lot more enjoyable than swallowing straight vinegar. My uncle told me about this when he used to have acid reflex. Eat a pickle! I even drink some of the juice with it. To me it tastes a lot better then straight vinegar. And it works perfect every time. ? I think any sour kind would work. I love Bubbie’s dills! I have a question… My son has a bad acud reflux due to food coloring allergies. Hes 6 now and once he eats a piece of candy he’ ll get sick. Imagine now what happens when hes around chocolate, cakes, ic creams… Basically he still ingests food coloring- or any of the foods (like tomato) that causes the reflux – of some sort one way or the other although I try to keep a strict diet for him. Now my sceptic me has big red flags warning me not to give acv to him but what is your opinion? Has anybody tried this on kids before? Is it safe? His pediatrician is all about sticking to the (very restrictive) diet and prescription treatment. Any comments would be appreciated! Thanks. I’m so sorry, Silvia, but I really don’t know! All I can say is that if it were me, I’d consult a naturopath to discuss any possible ramifications to his current prescriptions, just to make sure it wouldn’t be a big problem, and then I’d probably give it a try once to see. His situation sounds pretty unique, so it’s hard to know what might result. If you try it, do let me know how it goes! Try giving him three to four ounces of unsweetened grapefruit juice if he doesn’t like vinegar (Simple is one brand that can be found in the refrig. section at the grocery store that is fresh and comes in both sweetened and unsweetened). I know this works for blood type A people and maybe everyone. I certainly helped me and I had been on prescription meds for years. Just a FYI….I swallowed a fish bone once…a small one that was turned sideways in my throat…stuck! And every time I swallowed, it really hurt. Tried drinking water, eating bread (anything to make it go down). A neighbor went right to the kitchen and brought ACV and a spoon….had me take I think it was 1 Tablespoon….she said it would “soften” the bone and it would go on down. It did in just a matter of minutes. Now I use ACV for most everything! It’s funny. I just started back on apple cider vinegar after slacking for a few months. My daughter asked me why, not five minutes ago. I explained, sent her to bed, and your article was on the top row of my Pinterest feed. Kinda makes me wonder if the analytics have installed microphones in our house! In any case ACV works! I am a firm believer in natural remedies before taking a pharmaceutical. The side effects of pharmaceutical drugs only create a need for yet, another pharmaceutical drug! WOW! Imagine that. I had terrible acid reflux develop in my mid-40s, and decided I did NOT want to treat it with prescription meds. After a number of months eliminating various things in my diet, I found the culprit: grains and sugar together. For the most part, it’s under control, and I arrived to that point by eating less sweetened grains (ice cream, custard, and the like don’t give me problems) and boosting my gut flora with fermented foods, raw dairy, and increasing my vegetable intake. Meat, dairy, veg, fruit, nuts, fats – none of those give me trouble. And now, small amounts of cake/cookies are ok, too. I will give the ACV a try next time I have a flare up. I usually go for a Tbs. or so of slippery elm powder, adding 1 tsp. or so of honey and mixing the paste. I add a touch of warm water to loosen it up, then drink it down. 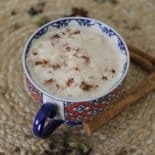 Soothes the stomach lining as well as the lungs and small intestines. Putting a little charcoal into a small glass and adding a quarter cup of water will absorb harmful acid and toxins. I put a few tablespoons down a poisoned poodle’s throat once, and watched him turn from limp to lively! A combination of acidophilus and enzymes is helpful for hard to digest food still in the system. A little mint will help soothe a sour stomach. Watch what is eaten. Learn to eat correct food combinations and don’t eat after 6 PM. I’ve been on me for years, but I would love to stop. I will be trying this! Probiotics helped my pregnancy acid reflux. I didn’t think I’d have an esophagus left by the time my daughter was born, but we started an anti-yeast protocol that began with probiotics (multi-strain capsules, not just a bowl of yogurt), and by the second week the pain of reflux was gone. 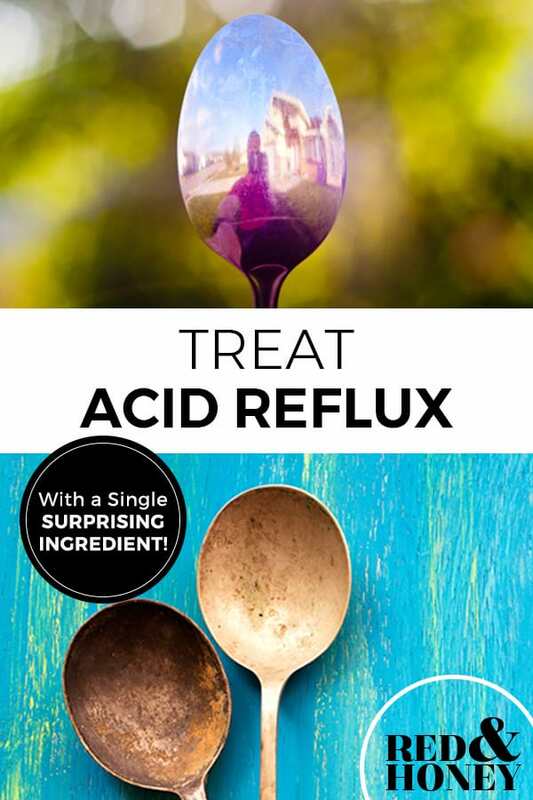 I was excited to see this post since I deal with acid reflux in pregnancy, but I’m sad to say that it hasn’t worked for me at all. I’m so sorry to hear that this didn’t work for you 🙁 I’ve heard that a couple of times from others specifically with pregnancy, and I suspect that the cause of pregnancy heartburn is different, which is why it doesn’t respond the same. 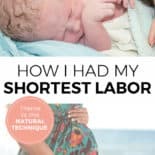 I too suffered greatly from heartburn in pregnancy and the only thing I could do was inhale Tums (NOT natural in the slightest!) to keep from dying of agony. I thought my throat was going to explode from the discomfort. If I ever get pregnant again I’ll surely be searching high and low for a remedy that works. I wish you the best in your pregnancy – I hope your heartburn doesn’t get too awful! The only thing that helped my severe acid reflux during pregnancy was Gaviscon……it was a gift from Heaven! For short – term use only. I can get almost anything down, but I can’t seem to get past the burn taking ACV causes in my throat. Any suggestions for a kinder and gentler way of taking ACV? Would this also work if you diluted the ACV in water to make it less “intense”? Apple Cider vinegar is God’s gift to mankind! I’m also a huge fan of colloidal silver. I use that for EVERYTHING. Great post! We’ve started giving it to the kids for hiccups and coughs (with a touch of honey). But it’s been nearly a year since that’s been going on here. And yes! It’s a wonderful remedy for straight up reflux. I’ve offered it to guests who have forgotten their prescription too. Works like a charm every time. Works wonderfully well for nausea as well. Not every time, no, but it usually does for me. Oooh, that’s so good to know!